We get asked all of the time about other quality wellness providers and products to help your family on their wellness journey. We are doing an online interview series to share these amazing local providers with you! Join us to learn about everything from essential oils to acupuncture and everything in between. There are many treatments people are interested in but don’t know enough about. We are going to pull back the curtain and help you learn the true about all of it! Join us on Facebook Live and take the next step on your wellness journey today! Is Your Child Stressed Out Over Trips to the Store, School, and Play dates? We have heard countless stories, all with many of the same worries – crying and non-stop colic as a baby, projectile vomiting and gas pains, chronic ear infections and repeated antibiotics, behavior issues, sensory processing challenges, speech delays, motor challenges, anger issues, and on and on. 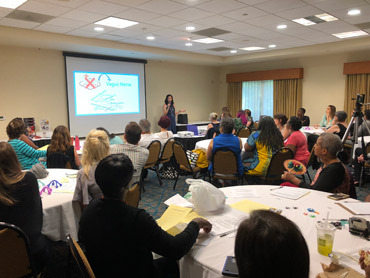 Dr. Angela breaks all the rules and talks about all the reasons our children need help. From both the outside and the inside, we will help you put together the information you need to know why your child is struggling. We’ll give you step by step help that you can use to start making a difference for your child. Together we help you learn how to MINIMIZE the tough days and MAXIMIZE the good days for your child at home and school. Are you frustrated and confused by your child’s behavior? Are you on the verge of breaking down as a result of your child’s multiple meltdowns?! Perhaps you’re tired of repeating yourself over and over every day? If so, you are not alone! Your child’s behavior is not random. Behavior happens for a reason. Kids want to do well, and when they don’t there is a underlying cause. It’s not because they’re doing this purposefully to get to you. It’s not because they are lazy or that they are seeking attention. It’s because there is a disconnect on several different levels. Join us and discover how to make the connection for your child, yourself and your family! This engaging online webinar will help you better understand your child, their behavior AND steps you can take to help tomorrow be different than today. You deserve answers! On this webinar you will learn from the expertise of not one, but TWO family focused experts. Does your child bring home every single bug from school or daycare? Why do some kids get sick and others don’t? Why does my child stay sick so long from a simple cold? How can I help may child get sick less often? Tis’ the season for colds, flu, ear infections, strep throat and the list goes on. Why does it seem this time of year that everyone is getting sick?! We have the answers to your questions! Join us for a FREE engaging webinar to learn about how the immune system works AND how you can help your child Kick the Sick! Dr. Chris will be breaking down immunity in a way that is clear and understandable for everyone. Learn real life ways to boost your family’s immunity today! He wants to empower parents to take control of their family’s health so you can make the best choices possible for the health of your family. He will also be answering questions live from parents during the webinar, so that we make sure ALL questions will be answered. Are you tired of symptoms from pregnancy, birth and postpartum being blown off as your new state of normal? Join top perinatal professionals located right here in West Ashley as they discuss common imbalances, resolutions, and appropriate birth plan expectations; leave informed and empowered by your birth choices and beyond. 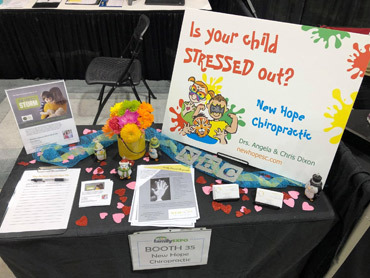 Dr. Angela from New Hope Chiropractic will be here to answer all of your questions and to help you find your path to the healthiest pregnancy possible. *Ticket fees will be donated to local non-profit organizations who focus on perinatal wellness. 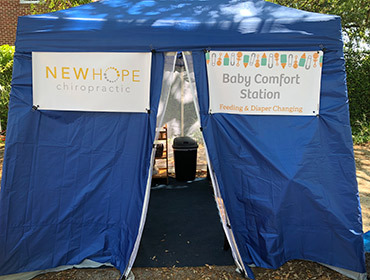 Enjoy the Honey and Bee Expo even more knowing that you have a private place to Nurse, Feed, Change and Comfort you little ones. Join us for the 8th Annual Charleston Honey & Bee Expo. The admission is free for this family-friendly event! - Free honey tasting, local honey! Enjoy the Community Fun Day even more knowing that you have a private place to Nurse, Feed, Change and Comfort you little ones. Are you ready to find your VOICE? Join IAMVOICES for Year #2 for one of the biggest events of the year. We are throwing this event to provide a fun, uplifting, and empowering experience for families, children, and the community, you will be able to celebrate the fact that you are survivors and not victims. There will be food, music, and plenty of vendors in addition to our organization! Come out and show your support! Of course, admission is free! Want to learn more about how chiropractic care can help your family? Contact our practice today to book an appointment!